Looking for a hotel near Houston's Energy Corridor? IHG's newest Holiday Inn & Suites Houston West is a perfect hotel for your next visit to the Energy Corridor. A stay at the newest Holiday Inn in Houston will leave you rested and ready for the day. Free wifi, parking, and breakfast are just the beginning of the value and comfort offered at the Holiday Inn Katy Mills. 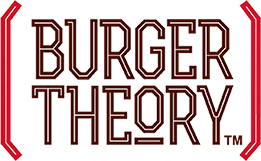 Not to be missed is our on-site happy hour at Burger Theory!